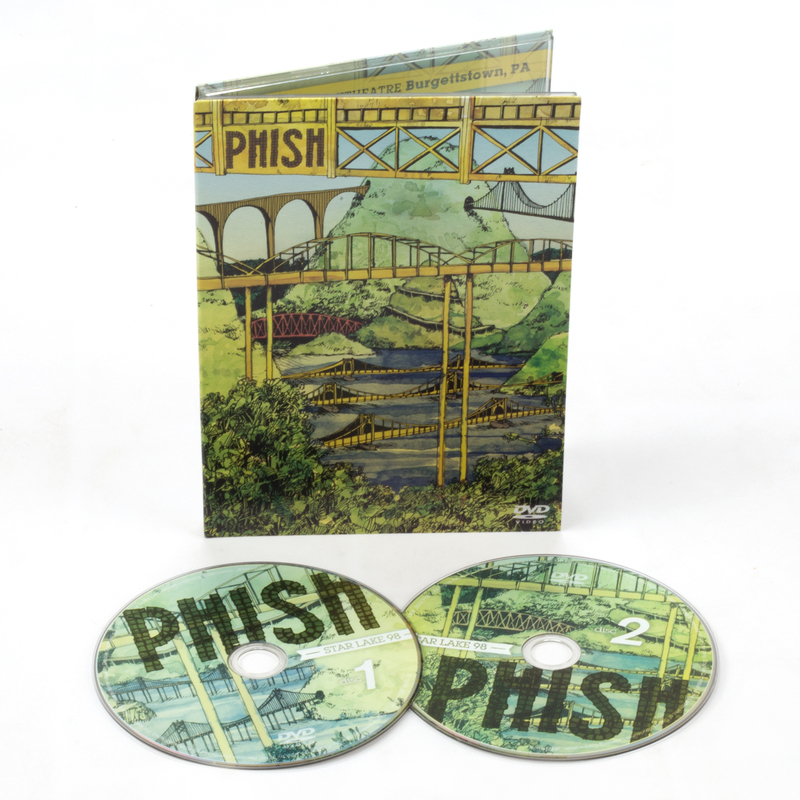 All new 2-DVD set, recorded live on August 11, 1998 at Star Lake Amphitheatre in Burgettstown, Pennsylvania. The Star Lake 98 show was the 20th of summer to display the loose, experimental vibe of a tour that began in Europe and jumped to the United States enroute to the summer’s ending Lemonwheel festival. "Star Lake 98" is the only full video show available in the Archives from Phish's Summer 1998 tour. The 2-DVD set was created from archival VHS videotapes of the 3-camera lawn screen feed. The audio was mixed from multi-track masters in stereo PCM and Dolby Digital 5.1 surround (aspect Ratio 4:3, regions 1-6 NTSC) and clocks in at just about 2 hours and 50 minutes. The introduction of a never-before-played cover each night earned the tour the nickname “the summer of covers” from fans and band alike and Star Lake’s contribution was "Trench Town Rock." Star Lake also saw the return of "Time Loves A Hero" which was played for the first time in a decade and segued out of a sultry "Wolfman’s Brother." An extended "Fee" extro and hot renditions of "Maze" and "Reba" set the stage for set II’s super-swinging, ethereal "Runaway Jim" and the unusual pairing of "Meat" > "Limb By Limb". 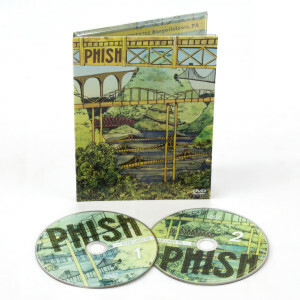 Local flavor of the Commonwealth was provided by "Bittersweet Motel" (the title of the Phish documentary recorded during the Europe dates) and "Wilson," King of Prussia. Now I know why I went to Burgettstown in 2012. It all makes sense. I felt that the band was extraordinarily experimental during this show, particularly during Down With Disease, which was a treat for me, because of my personal connection with this song. Really, though, the band was very generous with improvisation throughout the entire show. Yet, the band maintained a cohesiveness, as if unified by something physics can't explain, yet. Somehow, this show made me feel a part of that cohesiveness. As always, thank you Phish! I just re-watched this release last weekend and really enjoyed it! It captures the band at a really exciting time, and we're truly lucky to be able to see these kinds of videos. I rated this video three stars because I long for extra footage and the extra-special Phish quirkiness that seems to be absent from recent archival releases. I have watched the bootleg "Bluegrass Sessions" and the fantastic "Bittersweet Motel" countless times because it gives us that connection to Phish that is so integral to being a fan. They've spent their careers bringing their stage to us, and anytime you can give us more (the extras on Clifford Ball and IT DVD's are also good), I think we're happier and more connected to the band. I've always wanted to know where the footage is from the Bittersweet Motel taping. Clearly the 12/11/97 show was taped in full, so let's see some more shows like that! How about a Europe show? Just some thoughts. Thanks for the release. We'd love more! I was heavily pleased with Star Lake '98. I ordered it for my brother's birthday and it arrived within a week. Definitely a great show to watch in your living room.